Showing 11 articles from August 14, 2013. 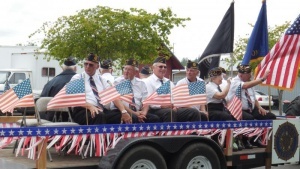 Photo by Sally Kunke The American Legion can always be counted on to participate in a parade. The Legion was awarded second place in the float division. There were only 28 entries in the Harbor Festival Parade. See all the winners below. Below are the parade winners from the Willapa Harbor Festival. The parade was conducted August 3 in downtown Raymond. There were 28 entries in the parade. The Come & Play on Labor Day buttons will be done a little differently this year. You have probably noticed that your Labor Day button is not numbered this year. Oops! The day to submit sewing entries for the 2013 Pacific County Fair somehow didn’t make it into the fair booklet. Entries will be accepted Sunday, Aug. 18, from 2-8 p.m., according to Sewing Building Superintendent Becky Coburn. "The Senate's top tax writers have promised their colleagues 50 years worth of secrecy in exchange for suggestions on what deductions and credits to preserve in tax reform." This is the opening sentence in a piece published by THE HILL, a Washington DC on-line newspaper. Re-read that first sentence. You've been hearing about Pacific County PUD bringing power and fiber optic cable to this end of the county. 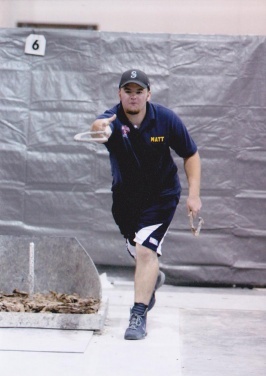 Lebam resident Matt Fuller won seventh place at the Horseshoe World Tournament, which lasted from July 22nd to August 3rd and took place in St. George, Utah. 1,100 participants from around the world, including Namibia, South Africa, Norway, Canada, and the U.S. ventured to compete in the contest.